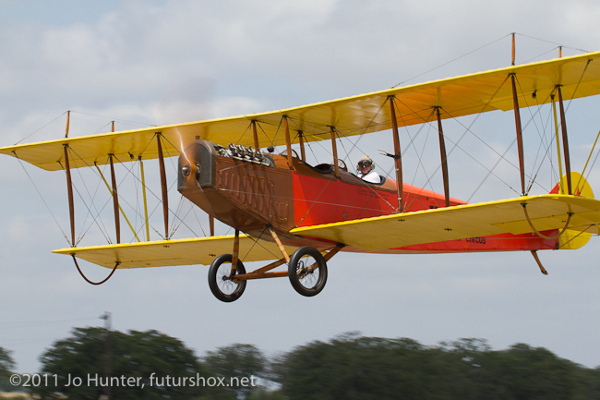 The spring fly-in was held on Saturday, May 7. We had a good turnout despite high winds and two other fly-ins and airshows on the same day. 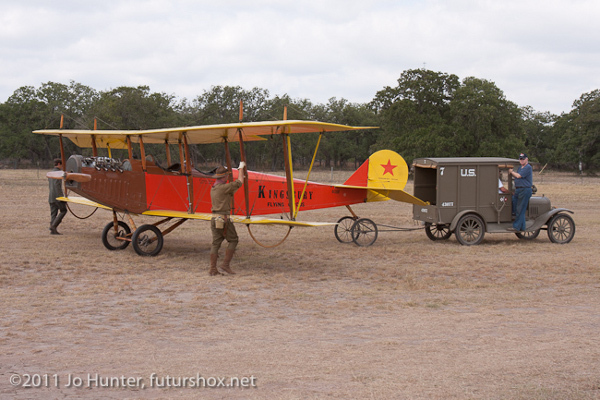 On Friday, we sent a couple of airplanes over to the Stearman fly-in, and the Stearman folks returned the favor on Saturday. Unfortunately, this reporter's camera picked this morning to die, so I had no photos to accompany the report. 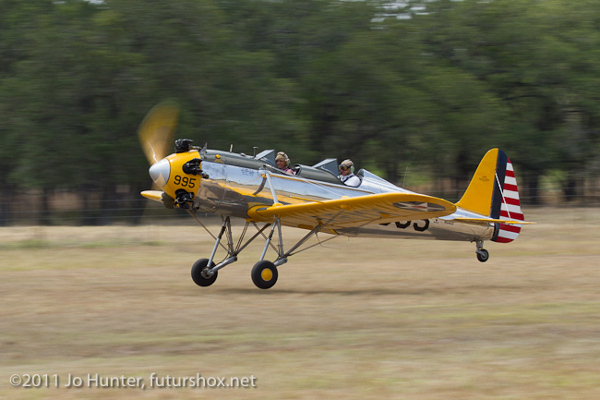 Fortunately, Jo Hunter was able to attend the fly-in and gave me permission to use some of her gorgeous photos here. The museum flew our Canuck and Meyers OTW, as well as Steve Freeman's Ryan PT-22. Our Fokker Dr.I Triplane was still not running right, so it stayed on the ground today. 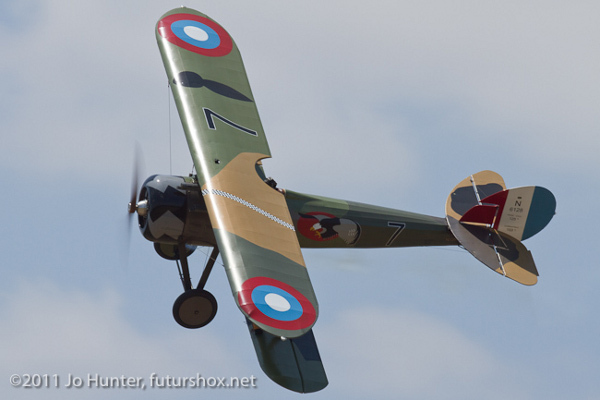 We were visited by several period airplanes, including a Nieuport 28 reproduction and a couple of Stearmans. 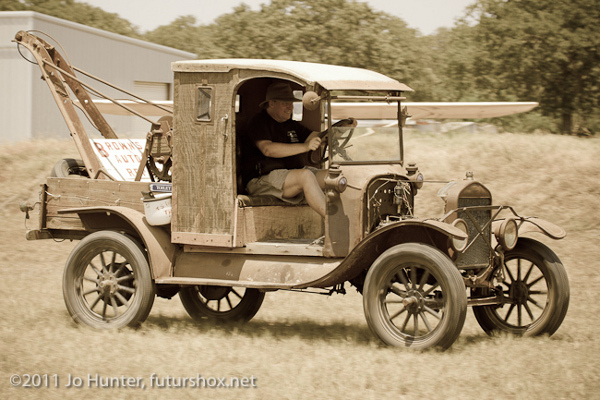 We were able to put on a bit of a ground show by having the Canuck towed out to the runway by one of the Model Ts. Despite the winds and other events, we were visited by a nice number of fly-in visitors including a Luscombe, Champ, Piper Cub, a Hatz biplane, a couple of Cessna L-19s and several others. Team Vehicles out-did themselves! 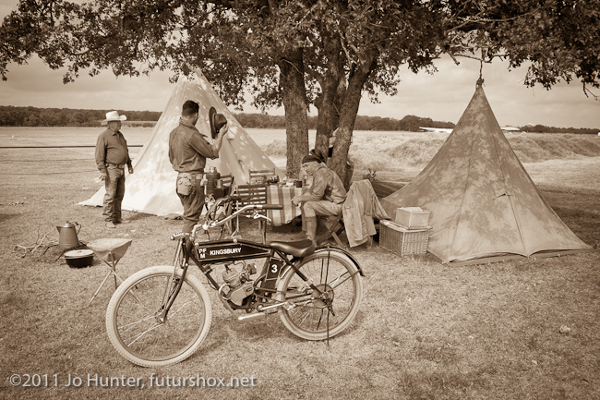 Every museum vehicle was running - the Nash Quad, both motorcycles, and all of the Model Ts. 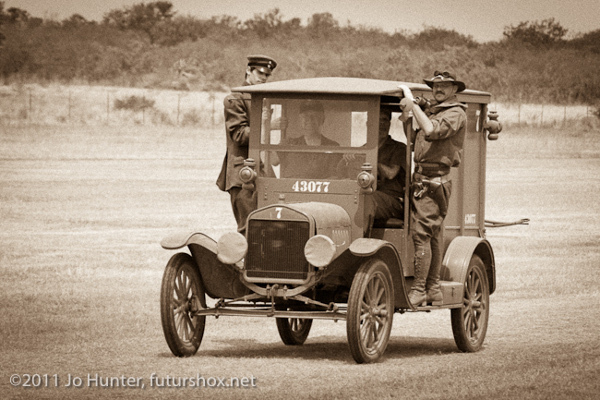 After running around the grounds all day, they formed up for a period parade, being driven by our volunteers dressed in period uniforms and costume. Our volunteers' tribute bikes were also out in force - these motorized bicycles are a lot of fun to ride.